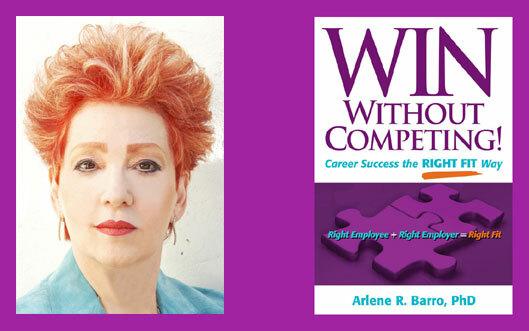 My first thought when I spoke with Dr. Arlene Barro for the first time was, �Who is this woman?� A complete stranger, she had called me to talk about an open position she thought I might be right for. She hinted that my r�sum� would need updating, even before she�d seen it, and that I�d need interview coaching, even though she�d never interviewed me. I was an adult, and, in my opinion, my r�sum� was perfectly fine. And I knew I was perfectly comfortable in interview situations, thank you very much. As a candidate you mustn�t just sit in an interview and field questions that employers throw at you. You have to set the pace and the course of the discussion yourself. And when you probe, you can, as I did, find something out about the employer that the employer doesn�t even know. Armed with that knowledge, you can level the playing field and assess each other as equals. In the end, based on the information I uncovered, I decided that I didn�t want Dr. Barro to extend an offer to me on the employer�s behalf. I dreaded telling her; she had spent many hours with me. But to my surprise, she simply listened, asked if I was completely sure, then made no protest. We chatted for a while, and then she wished me well. Her goal wasn�t to squeeze me into the job; it was to make a perfect match. She believes no match is better than a bad match, and this is a testament to the power of her process. Most important of all, Arlene understood that her hours were not a waste of time. I had graduated; I�d learned enough about myself and about the process to liberate myself. I used my newfound wisdom to find on my own the position I truly wanted and that I was right for, and I use it still from the other side of the table when I talk with and interview candidates. I would have never reached this level of awareness without Arlene. Once you graduate, you never forget. What a remarkable experience it was for me to be evaluated and coached by Dr. Arlene Barro in preparation for my meeting with the prospective employer for whom she believed I was the Right Fit. We spoke in great depth as we prepared for my interview; it was like having a career personal trainer by my side. Throughout the process, she was there to ensure that things were progressing smoothly. Thanks to Dr. Barro, I was so well prepared that her client not only wanted to hire me, but presented a choice of three positions. My choice was a position the company created specifically for me. Dr. Barro extended the offer to me, and I allowed her to accept on my behalf. How exhilarating it was, and how grateful I am for her counsel and support.